Get your EYES ON ME Baby! 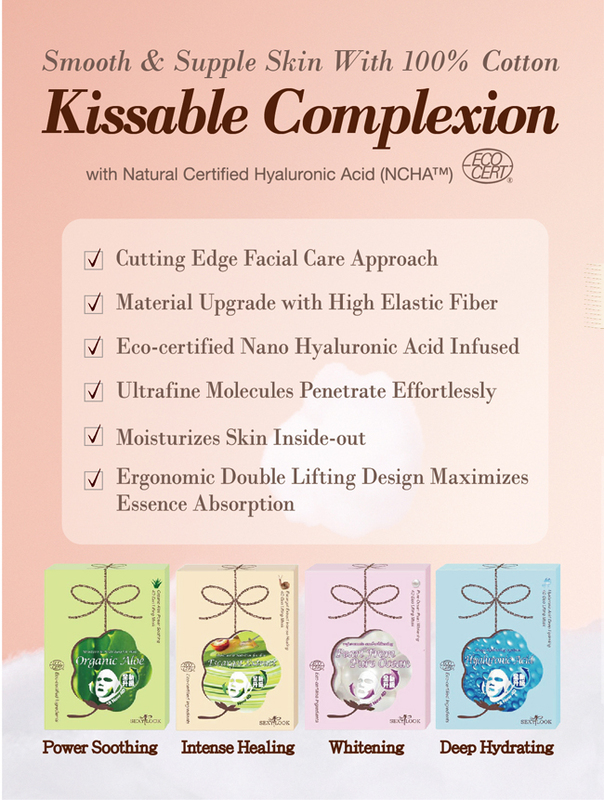 I am having SMOOTH and SUPPLE skin that can't make you to stop kissing me 'cause you just simply cannot resist KISSABLE COMPLEXION! 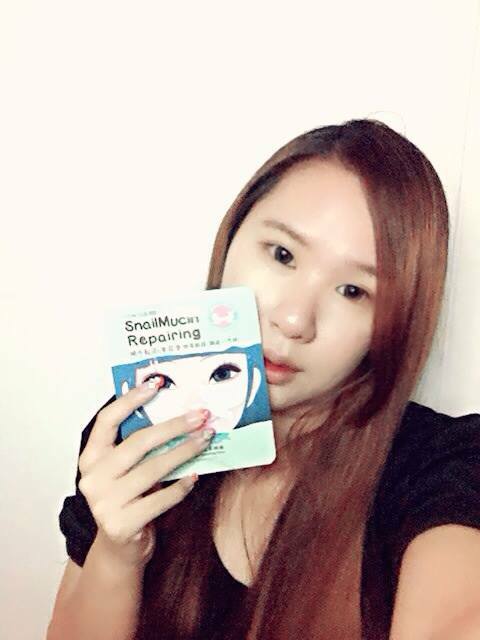 I am pampering my skin with the new product range from SexyLook and LoveMore! 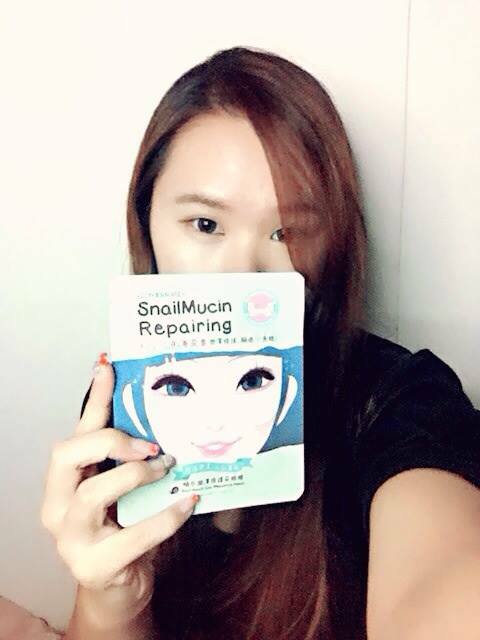 Let me start with SexyLook new range of mask! 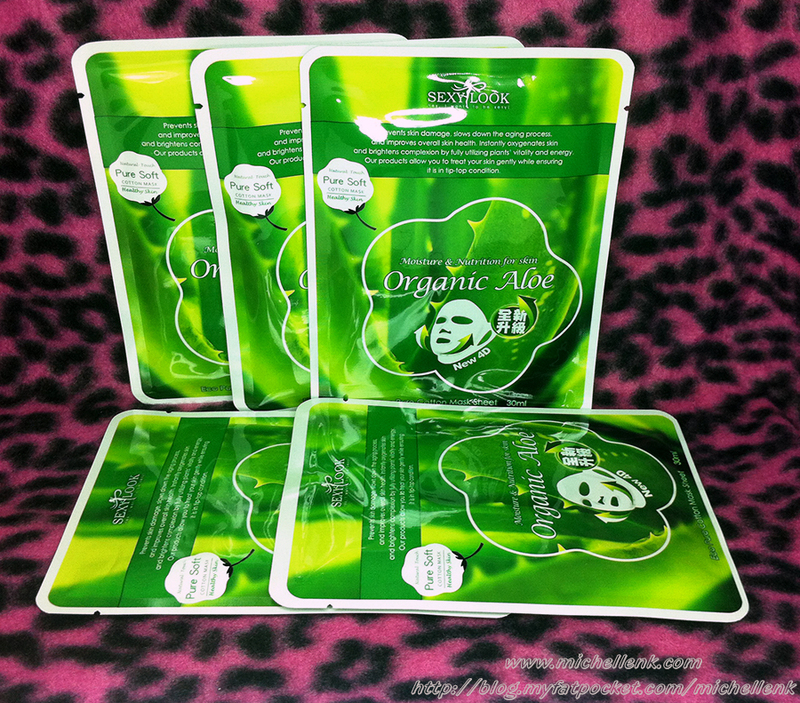 SexyLook 4D is set for effortless skin pampering with innovative mask design doubled with the finest ingredients. The double lifting mask is now more elastic, soaked with 30ml of NCHA infused essence to maximize your facial care power. 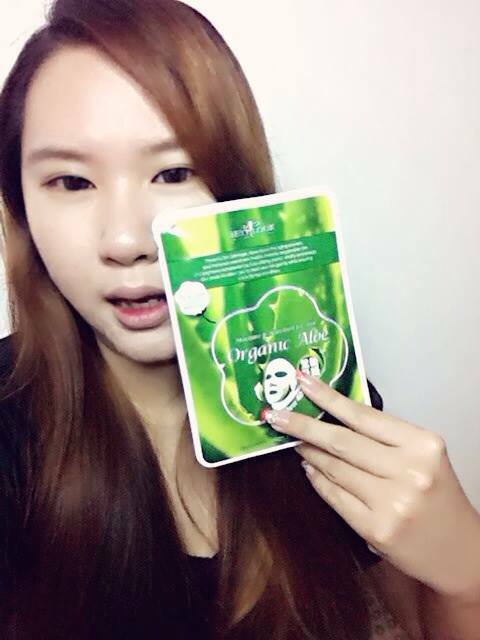 Let me tell you, when I first tear open the mask, I was really impressed with the generous amount of essence. 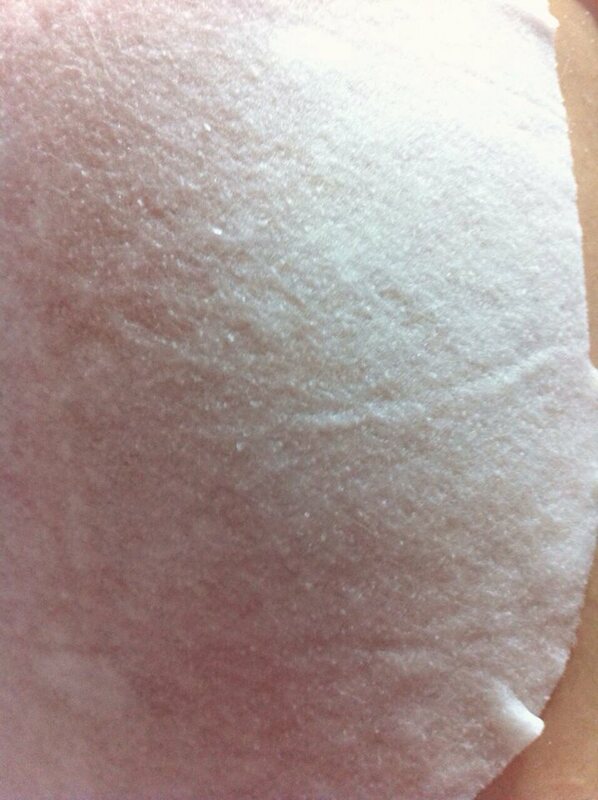 The whole cotton mask sheet was soaked with the essence and there were so much essence left for later use. Somehow, I felt that this 4D mask is better than the previous ranges. It is so much fitter and the absorbency is quite well too. 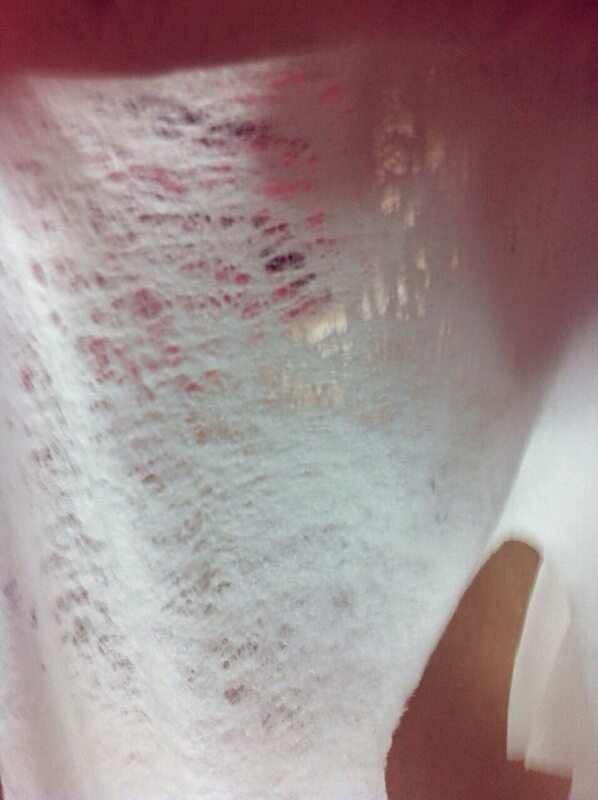 It does not dries up easily. 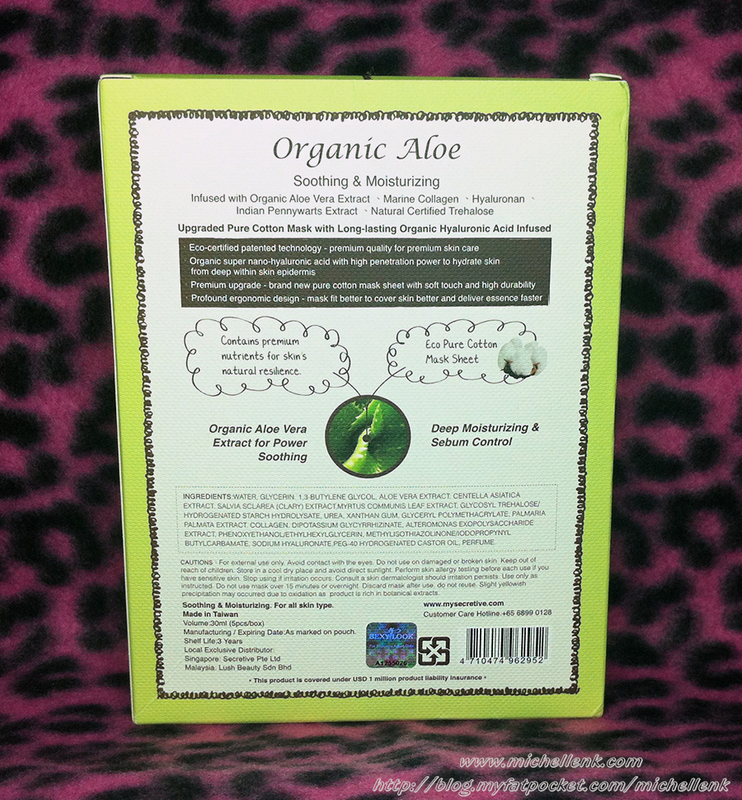 Anyway, it is so moisturizing that I can really feel my skin really hydrated and soft to the touch, even after a night! 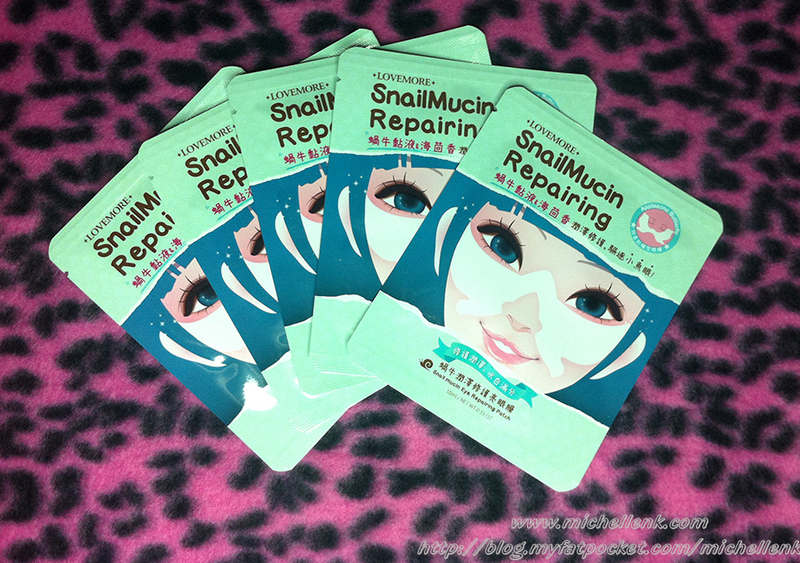 Those blemishes, especially the "fresh" ones, slightly shrink and less irritated after the mask too. 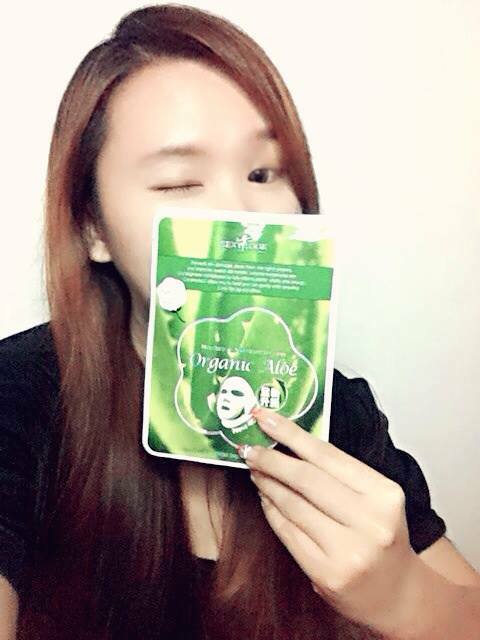 Sexylook Oragnic Aloe Power Soothing 4D Duo Lifting Mask is selling at S$15.90 for a box of 5 pieces. Next, lets move on to LoveMore new range! Eyes are the window to our soul! It is essential to take extra care of the eye contour as it is also the most delicate area of our skin. 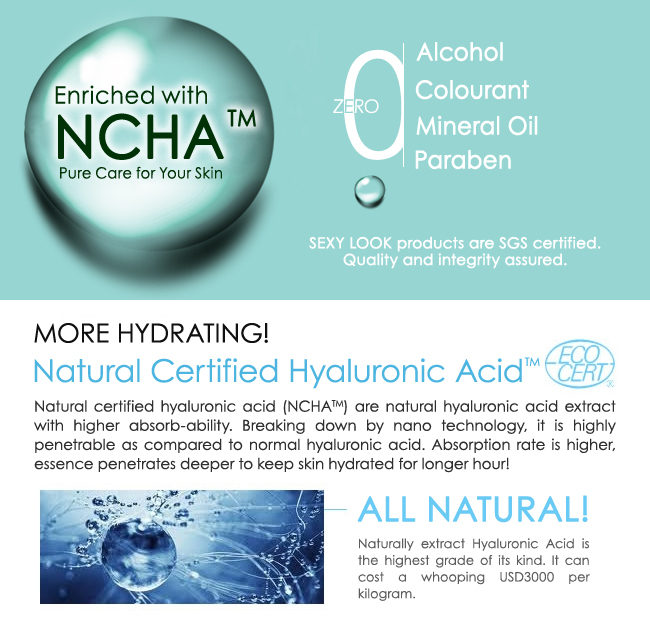 As we age, skin loses its elasticity and become thinner due to breakdown of collagen. Prolonged exposure to air-conditioning and sun dries out skin causes fine lines and crowfeets around the delicate eye contour. 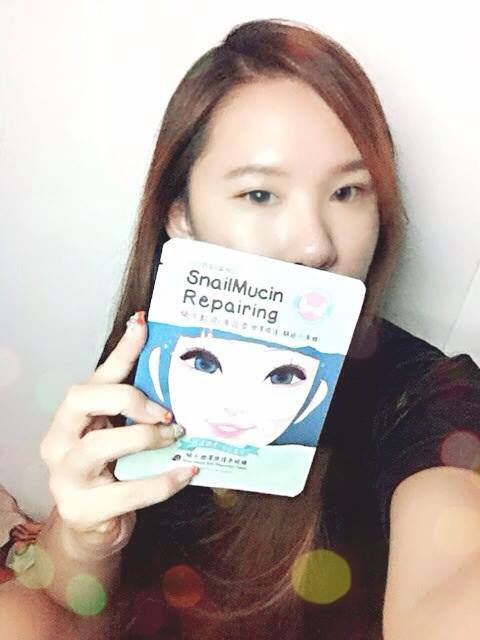 Formulated with the super hydrating snail mucin and aloe vera extract to reduce the sign of fine lines. 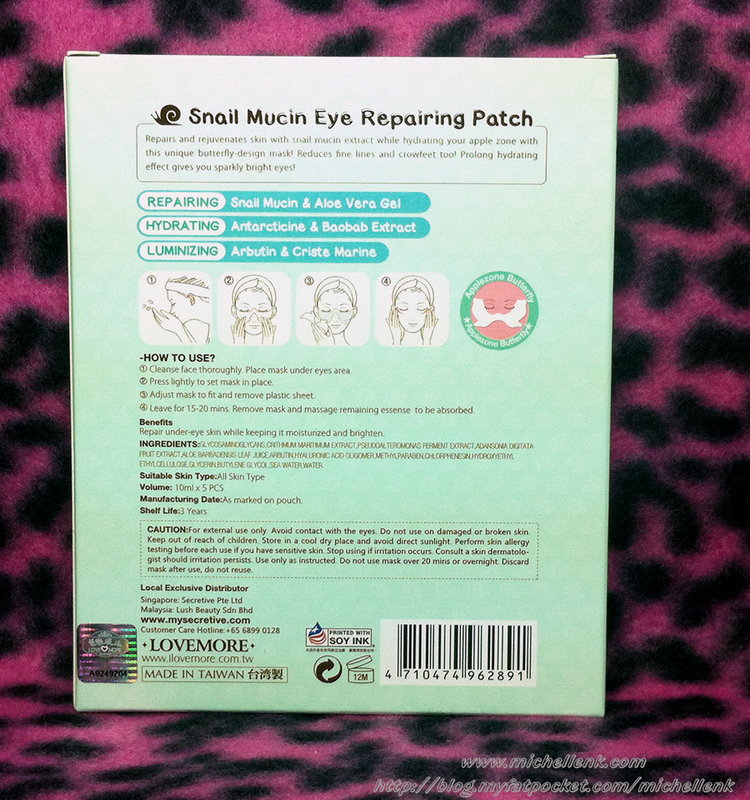 This is the first time I came across such a lovely eye mask! Want to know why? Because it is in a shape of a butterfly! Cute and special isn't it?! 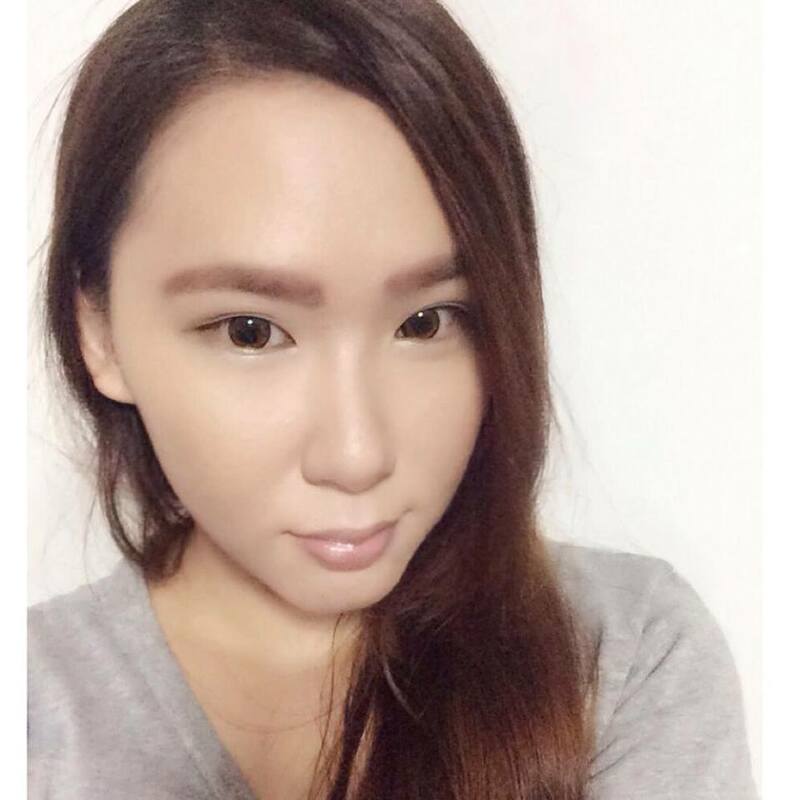 It is really lightweight and it contours to my delicate eyes area perfectly! 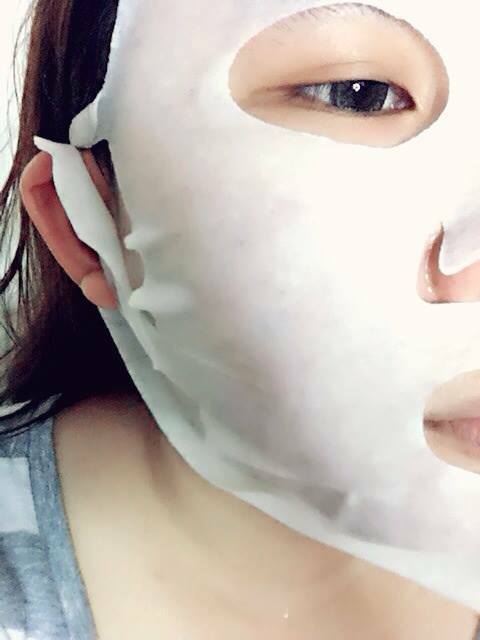 It is designed in a way that the mask is able to reach those places that some full mask can't target on, in this case, would be my nose bridge area. It just adhered to my eyes area so perfectly. Soon after I had my eye mask on, I can feel that it is really working. 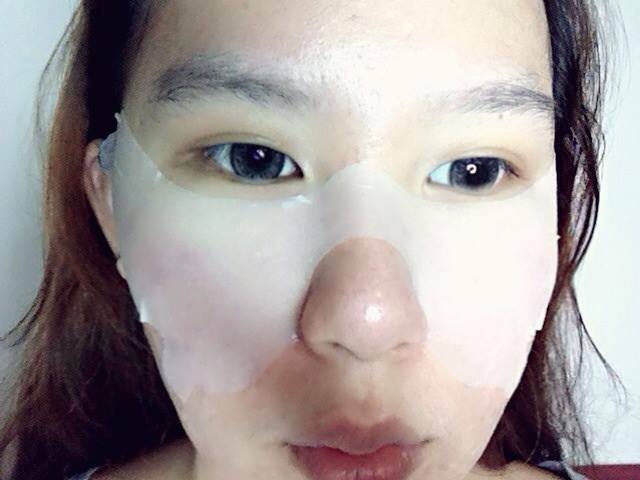 I can feel a slight tightening motion on my eyes area, and I usually suffered from slight eye bags problem, but after 15 mins, my eyes feels less puffy and super hydrated! As I always either stay in the Air-conditioned room and stares at the computer screen, my eyes are more or less quite straining and thank god for this, it just feels so much better! 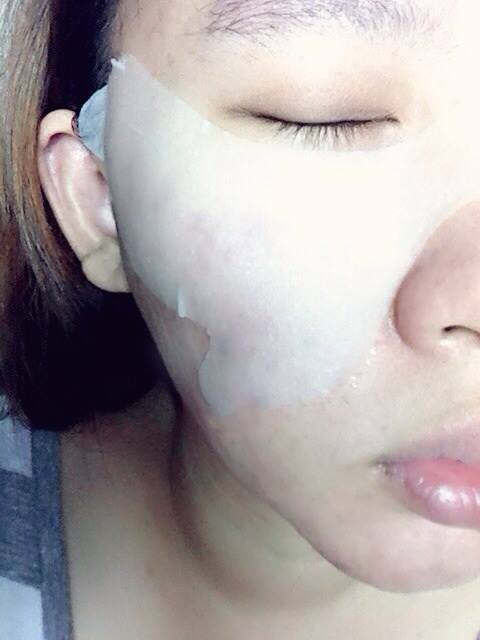 Did I mentioned that it does helps to shrink my pores near the nose area there? Hehehe! 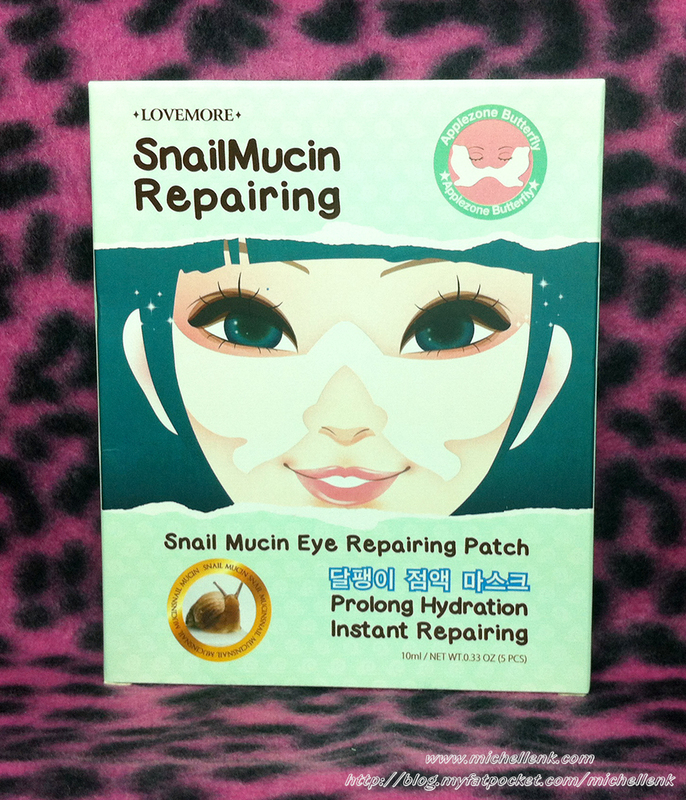 Lovemore Snail Mucin Eye Repairing Patch Mask is retailing at the price of S$11.90 for a box of 5. *PS: Trust me, it is a very very very good eye investment! I am so going to stock up more for this! 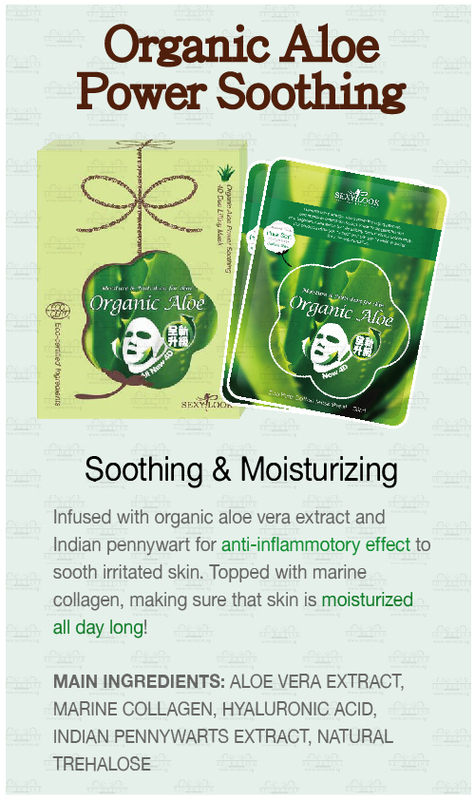 All the products mentioned above are available at Secretive.sg! Have you tried them yet? If you did, what are your opinions? 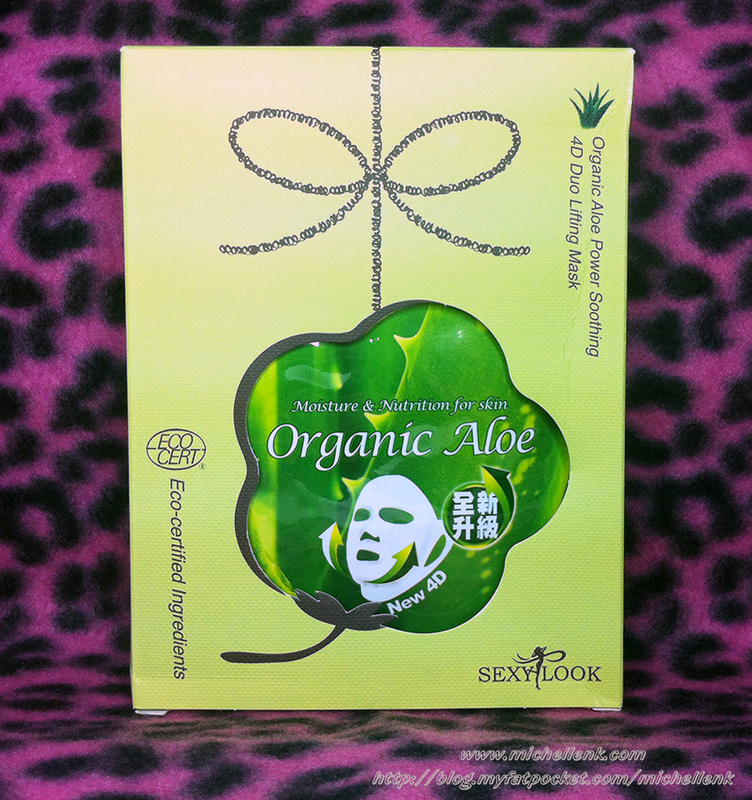 And for those who have yet to try, which mask is in your wanted list?